Happy New Year! 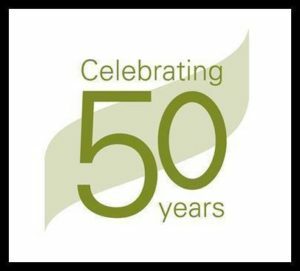 We are excited to celebrate our 50 year anniversary this year! As the year moves on our social committee will plan some fun events to celebrate this special anniversary of our club. 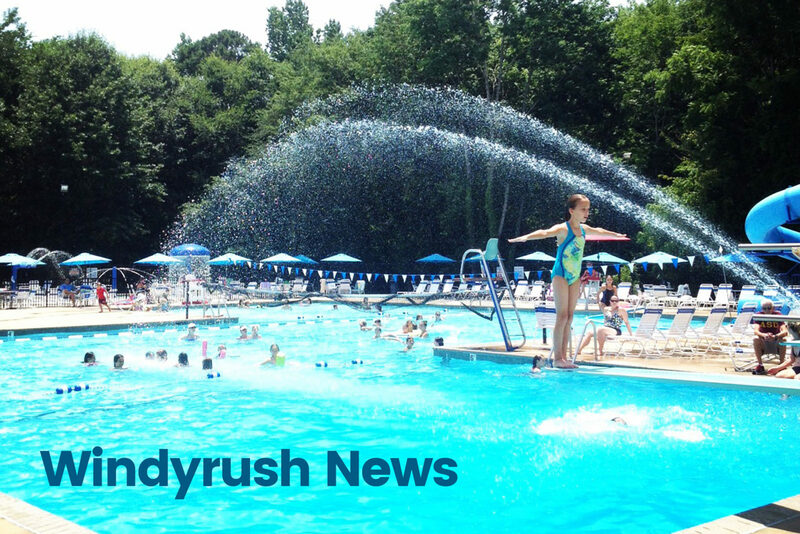 It’s an exciting time to be a Windyrush member and its exciting to see the progress taking shape at the pool house this winter! The demo work is complete, electrical and plumbing work has begun. The Board continues to stay busy to ensure the club is ready for opening day in May. The temperatures this week have provided a lot of play on the courts. They have been filled with league play and membership fun. We are sad to report that Mike Baldwin our tennis pro has resigned. Below is a word from Coach Mike where he explains his departure. We wish him the best with his next endeavor. Trimp Tennis will continue lessons and clinics through this transition. Please be aware that when temperatures are below freezing the soft courts freeze at night and thaw during the day. They are unplayable until they are completely dry. When they are questionable please use the hard courts. The ice machine has been winterized, you will want to bring water with you to stay hydrated on the courts. Reminder: Membership dues for 2019 are $775.00 and payable by March 1, 2019. Payments made after March 1, 2019 will incur a $50.00 late fee. If memberships are not renewed by March 15, 2019 they will automatically be terminated. Due to our current waiting list, we have a strict deadline. You may pay your membership with a credit card CLICK to Pay with PayPal. If you prefer to pay by check please mail your payment to Windyrush 6441 Windyrush Road 28226. Please contact Phyllis Smith at office@windyrush.com if you are now renewing your membership. The Windyrush dumpster is for staff use only. The property is monitored by security cameras. People who use the dumpster will receive a fine of $50. 2018 has been both a joyful and tumultuous year for me and the Baldwin clan. I am privileged to be the patriarch of our family and with this privilege is responsibility. The family wants me to be near them. There is no easy way nor perfect time to make this decision and announcement. Willi and I have deliberated over this as long as we could. So. I am moving back to Florida. My wife is staying a little longer to tie up loose ends. If things work out smoothly, we will be able to return to the mountains in the Spring. That being said. I truly am appreciative of the warm welcome and courtesy all Windyrushers showed me. I have enjoyed the experience of being your "Tennis Pro". I feel I have grown with this experience and become a better person because of our interaction. You have a great tennis club with a unique member camaraderie and openness to trying new things. You are true lovers of the game. I enjoyed working with the ladies teams. LOVE THE BATTLE! The juniors were a true delight. One of my favorite aspects was introducing tennis to really new players. NEWBIES. And your Tennis Board is a rare jewel. GM Phyllis, Mindy and Mike. I will remember how helpful you have been to me. Supportive, encouraging, forgiving and again, open to new ideas. Members who have a credit balance with me. Text me the $$ and contact information and I will settle up. Guests must be accompanied by a member. Guest fees are $5.00 per guest. Please leave your guest fee payments in the box on the clay court entrancemarked "Guest Fees." It's time to renew your Windyrush ball machineuser fee. Below are the terms and conditions for use. Ball machine is for member use only. Members pay an annual fee of $20 per household to have access to the machine. Members under age 18 must have adult supervision. Cash or check (payable to Windyrush) may be given to our tennis pro or leave in the guest fees box on the fence. Please note "ball machine" with your payment. Users will be held responsible for any damage or loss. Please check the machine carefully before each use. If anything is wrong with the machine or if it is not working properly, please note it on the log and contact office@windyrush.com . 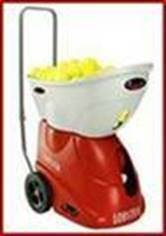 Ball machine is to be used on the HARD COURTS only. Users are responsible for cleaning up all balls after use. Users must properly cover, store, and lock up the machine after use. PLEASE PUT THE REMOTE BACK IN THE BAG. Before locking it up, please check to see if the red battery light is on, indicating low battery. If the battery is low, please see instruction form located inside the machine shed and charge it accordingly. Then leave a note on the log that you started the charge. DO NOT CHARGE THE MACHINE UNLESS THE RED LIGHT IS ON. The machine may not be used when league play is in progress on courts 5 or 6. Sharing access to the machine with anyone outside of your household, even with another member, is prohibited. Violation of this rule will forfeit the member’s machine fee/right to use the machine and could result in suspension of membership. Reserve court #5 or #6 at www.reservemycourt.com when the machine is not already reserved and when league play is not scheduled. (Facility code is 6441). There is a 90-minute maximum time limit. When making your reservation, be sure to type “Ball Machine” in the box that says “Note.” This is how people will be able to see on the reservation site if the machine is already reserved or not. *The Board did not meet in December, there are no minutes to include this month.